Don’t you just love pharmaceutical commercials these days? A soothing voiceover tells us that the drug “may cause dizziness, dry mouth, seizures, sudden death,” while smiling actors run hand-in-hand on the beach, play catch with grandchildren, or share a romantic dinner,” and then “erections lasting over four hours, blindness, flatulence with discharge,” all without a care in the world. As a kid I always looked forward to that quick peek into the cockpit you got when boarding an airplane. Sometimes the pilot would give me a quick wink while mumbling important pilot stuff into his headgear. It’s a disturbing experience to look in the mirror one day and realize that your eyelashes are thinner, shorter, and sometimes even lighter than before. If thinning eyelashes is troubling you, there’s something you can do about it. Zinc-based Sunscreen Best Environmental Choice I spend a large part of my day preaching the message of moderating your exposure to the sun. The subject of sunscreen factors heavily into that message. In our article on chronic itch, we discussed just how serious of an issue it can be. Many people suffer greatly from this problem and are looking for things they can do at home to help. We put together a list of 5 simple, natural, and affordable DIY treatments for itchy skin. Many of these things are already in your cupboard, and if not, can easily be purchased at your local grocery store or health food store. 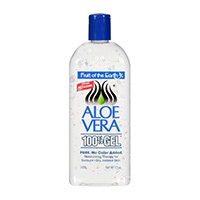 Aloe vera is a good treatment option for chronic itch as it’s convenient for daily use. It has a soothing affect on skin, so it’s effective in treating itchy skin that is caused by irritation or rashes. You can buy a natural, unscented aloe vera gel, or you can get the gel directly from the actual plant, and then you can apply it to your skin just after you shower and dry off. It’s light enough to wear throughout the day, and it’s a great moisturizer so it treats dry skin as well as skin itch. Is your scalp itchy? Is it dry and flaky yet still paradoxically greasy? Do you shed a blizzard of flakes? Redness and tenderness to the scalp got you down? You very well may have dandruff or seborrheic dermatitis as dermatologist like to call it. So why do some people get dandruff? The cause of dandruff is believed to be a complicated interaction between naturally occurring yeast, your skin oil, and the resultant inflammation. For unclear reasons, the yeast finds the composition of some individuals’ scalp oil to be delicious. The digestion of these oils generates fatty acids that penetrate the skin and stir up inflammation (hence the redness and flaking). It is not an infection of yeast per se, but a poorly understood reaction to your skin’s natural inhabitants. Erectile Dysfunction Drugs And Skin Cancer — Should You Worry? Viagra And Skin Cancer? The headlines are gripping: “Viagra increases risk for melanoma.” And commercials somberly advise,‘If you or a loved one has suffered melanoma, you should contact a Viagra attorney for a free consultation today.” So why aren’t older men dropping dead of melanoma on every street corner?